Prescott Animal Hospital Equine Center is primarily an ambulatory hospital. What this means is that typically we go out to see our patients in the field. Each of the veterinarians have a hospital truck that is supplied with anything they might need for the visit. Field work can be a challenging task due to inclement weather conditions or less than ideal location. Ambulatory clinics must maintain a very flexible schedule, if any emergency comes up the doctor may have to adjust their route and prioritize the day. One large benefit of an ambulatory practice is that patients are taken care of in the comfort of their own home and don't have the added stress of a strange environment. Also doctors typically have more time to build relationships with our clients getting a very detailed and thorough history of the patient. Many different procedure can be done in the field including vaccinations, castrations, dental care and laceration repairs. At Prescott Animal Hospital Equine Center we offer a wide range of diagnostic and wellness tools to assist the attending veterinarian during your horses exam. Boosters vary upon age, previous history or if the horse is in foal. Additional vaccinations are available upon the owner's request, including the Rattlesnake vaccine. Tetanus: Sometimes called “lockjaw” tetanus is caused by toxin-producing bacteria present in the intestinal tract of many animals found in abundance of soil where horses live. It spores can exist for years. The spores enter the body through wounds, lacerations or the umbilicus of newborn foals. Symptoms include muscle stiffness and rigidity, flared nostrils, hypersensitivity, and the legs stiffly held in a sawhorse stance. As the disease [progresses, muscles in the jaw and face stiffen, preventing the animal from eating or drinking. More than 80 percent of affected horses die. All horses should be immunized against tetanus. Encephalomyelitis: More commonly known as “sleeping sickness” this disease is caused by the Western Equine Encephalomyelitis (WEE) virus or the eastern version (EEE). WEE has been noted throughout North America, while EEE appears only in the east and southeast. Sleeping sickness is most often transmitted by mosquitoes. After the insects have acquired the virus from birds and rodents. Symptoms vary widely, but all results from the degeneration of the brain. Early signs include fever, depression and appetite loss. 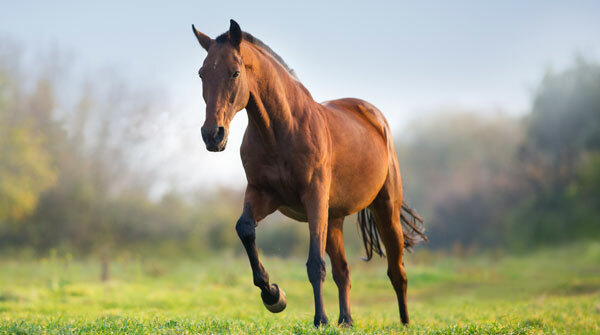 Later a horse might stagger when it walks and death rate is 75-100% of animals infected with EEE> All horses need an EEE and WEE vaccine at least annually. Rabies: A frightening disease, which is more common in some areas than others, and has been seen with increased frequency across the western US. Horsed are infected by bites from infected wildlife or other animals and death always occurs. Rabies can be transmitted from horses to humans. West Nile Virus: A neurological that affects horses throughout the united stated and is transmitted through the bite of infected mosquitoes/ Stas with more persistent mosquito population may require more aggressive vaccinations along with aggressive mosquito control techniques. Follow your veterinarian's recommendations. Streptococcus Equi (Strangles): A highly contagious disease is causing profuse nasal discharge and swelling that form in the head and neck region. 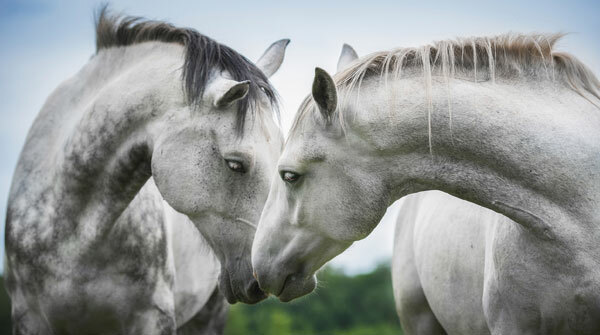 While most horses recover fast from this disease it spreads quickly between horses and some horses can have fatal complications due to infections. Influenza: This is one of the most common respiratory diseases in the horse. Highly contagious, the virus can be transmitted by aerosol from horse to horse. Signs to watch for are similar to those in a human with a cold (IE: dry cough, nasal discharge, fever depression and loss of appetite). With proper care most horses recover in about 10 days. Some however may show symptoms for weeks especially if put back to work to soon. Unfortunately influenza viruses constantly change in an effort to bypass the horse's immune defense. 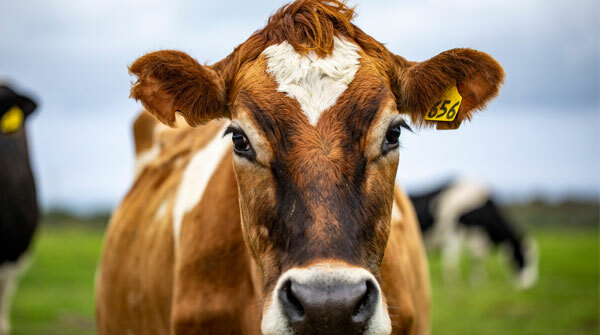 Therefore durations of protections can be short lived and revaccination is recommended every 3-6 months depending on how the vaccine is administered. Rhinopneumonitis: Two distinct viruses equine herpesvirus type one (EHV-1) and equine herpesvirus type 4 (EHV-4) cause two different diseases both which are know as rhinopneumonitis. Both cause respiratory tract problems and EHV-1 may also cause abortion, foal death and neurological signs which may eventually cause paralysis. Infected horses may be feverish and lethargic as well as lose appetite and experience nasal discharge and cough. Young horses suffer most from respiratory tract infections and may develop pneumonia secondary to EHV-1. What is a pre-purchase exam? 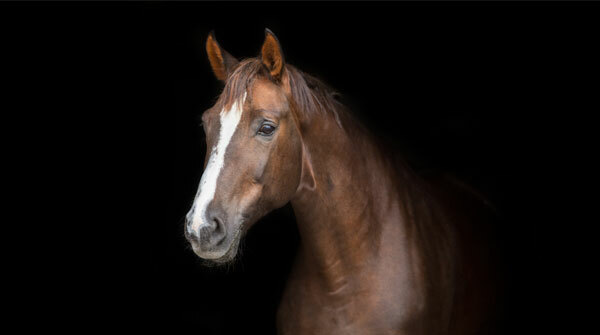 When buying a horse, many buyers ask for an equine pre-purchase exam. This serves to identify any preexisting problems which may hinder a horse's future performance and reduce buyer risk. The inspection consist of a very thorough examination and if the buyer opts may include x rays, blood work, etc. If the horse must be sedated thought that authorization must come from the current owner. Who pays for the pre-purchase exam? Typically the person who is going to be buying the horse pays for the pre-purchase exam. This means that all discoveries and medical finding discovered during this exam belong to that client. Confidential nature of a pre-purchase examination? A pre-purchase exam in its most basic terms is a business deal between two individuals. There are typically no personal feelings and confidentiality is an unwritten rule. If a horse is discovered to be lame it is very unprofessional and taboo to go smearing that horse's name across the community or internet. Also keep in mind that it is the seller's decision to release medical records to the buyer and the buyers responsibility to inquire so. Who performs the pre-purchase exam? Ideally an impartial veterinarian should perform the pre-purchase exam so that relationships are not a factor. A veterinarian who does not have a relationship with the client and patient has nothing to lose or gain in the event that the horse is not sold or vis-versa. Extracorporeal shockwaves are high pressure sound waves used for therapeutic purposes. Shockwave therapy was originally developed to treat kidney stones the rapeutic purposes. Shockwave therapy was originally developed to treat kidney stones in humans. The veterinary community has taken this technology and applied shockwave to orthopedic conditions. In equine field services we use a High Medical Technologies (HMT) – Versatron that generates electrohydraulic shock waves (waves with a large focal volume). There has been some research directed at explaining the exact mechanism of shockwave. Some studies have shown it to be pain relieving; others have shown that there are some changes at a microscopic level such as neovascularization and changes in cytokines. Although the exact mechanism has not been proven, there is a volume of anecdotal evidence that suggests that it is an alternative therapy that can be considered for a variety of musculoskeletal problems. Dental procedures are performed on horses by a process called “floating Floating means to smooth or contour your horse's teeth with”. a file (called a "float"). 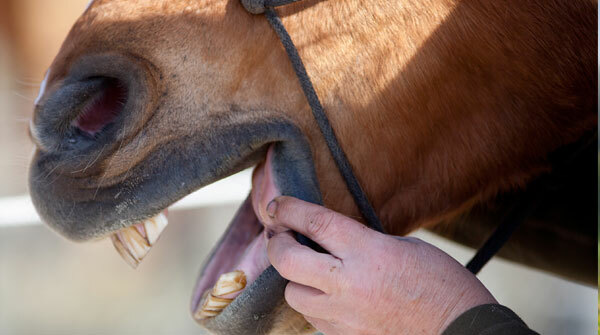 Unlike human teeth a horse's teeth keep growing. Periodically throughout the horse's life sharp edges develop on the teeth making in painful and difficult to eat. Horses like humans do have two sets of teeth throughout their lives. Typically they will have lost all of their baby teeth by age 5. Adults horses will have between 36-44 permanent teeth. The front teeth are used cut the foliage while the back teeth (both top and bottom) are used to turn that into a pulp that is easily digestible. Food that is not properly broke down could lead to digestive issues. Often times when teeth have sharp and pointed edges sore and cuts are developed in the mouth and on the tongue.